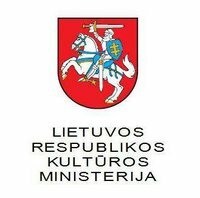 The Lithuanian Ministry of Culture has announced a call for projects aimed at promoting the cultures of national minorities. 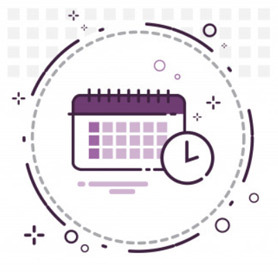 Legal entities working in a cultural field in Lithuania could receive partial financial support (up to 80%) for projects which are signed between 15th November and 15th December 2014. This year financial grants will be allocated for projects related to the promotion of national minority cultures in Lithuania and abroad, support for activities for children and youths and the preservation of a minority group’s cultural heritage. The projects could also relate to increasing national tolerance, supporting Saturday and Sunday schools of minorities, the eradication of racism and discrimination, integration of the Roma community or fostering national identity. However, according to information from the Ministry of Culture, the budget for this year’s projects in still unknown. According to the Ministry, it might be similar to previous year (288.000 LTL). It is crucial to highlight that in 2007-2013 the number of propounded projects as well as value of grants has decreased twice. Moreover, in 2010, due to austerity measures, the Lithuanian Ministry of Culture did not announce a contest for projects dedicated to the promotion of cultures of national minorities. The European Foundation of Human Rights (EFHR) recalls that, according to the Constitution of the Republic of Lithuania (Art. 37) and international documents and treaties ratified by Lithuania, every country is obligated to create adequate conditions for national minorities to cherish their language, culture and customs. This support coud be expressed in providing financial aid for cultural or educational activities dedicated to national minorities. In 2012 the Committee of Ministers of the Council of Europe enacted a resolution about the implementation of the Framework Convention for the Protection of National Minorities. In the document Lithuania was criticized for a lack of clarity, inconsistencies in the laws on the protection of national minorities and insufficient financial funds for the preservation of cultural heritage. It should serve as a signal for the Lithuanian government and Ministry of Culture to raise the sum of grants for national minority group cultural projects, which serve to protect cultural identities.